In the center of Istanbul, close to shopping, entertainment, and the city's sights, Ansen Suites provides large and stylish luxury suites and a long list of services. At just a short walk you can reach popular entertainment venues and busy shopping districts such as Nevizade Street or Istiklal Avenue. Not far from the hotel, you can visit the Istanbul Modern Art Museum or walk through the Fish Market. The hotel's gourmet restaurant Da Vittorio serves Italian cuisine in a warm and cozy atmosphere. The stylish, modern suites vary in size from 540 ft² to 700 ft². All of them have a living room, a fully equipped built-in kitchen and a walk-in closet. Offering views of the Marmara Sea, Sahil Resort Hotel is a drive from the Capitol mall and Bagdat Caddesi shopping street. Free Wi-Fi is also available. All rooms in the Sahil Resort Hotel have LCD satellite TV, a work desk, a minibar as well as a comfortable lounge area. Meals at the Sahil Restaurant are served as open buffet or a set menu. A wide choice of cocktails is also available at the hotel’s lounge bar. Attractions within the center of the city including the Blue Mosque are accessible via ferries. Ferry terminals such as the Bostanci Iskelesi are a 20 minute drive away. The Maltepe Station is also nearby. Suadiyel offers a prime location by the Sea of Marmara. It features a sauna, fitness center and free Wi-Fi. Rooms have satellite TV and a sitting area. Each of Suadiye's elegantly furnished rooms provides picturesque views of the sea or the garden. All are furnished with air conditioning and a minibar. Several rooms have a spacious sitting area with a plush sofa. Guests can enjoy a relaxing massage treatment. Hotel Suadiye has a well-equipped business center. A breakfast buffet is offered at Hotel Suadiye’s restaurant. For lunch and dinner, Turkish and international cuisine is served from a full menu. Exotic cocktails can be sampled at The Lobby Bar. Free private parking is available on site. The staff at Hotel Suadiye’s tour desk can provide information about local excursions and the hotel’s car rental service. The property is 2.5 miles from Palladium Shopping Mall. Only a 5 minute walk from the lively Taksim Square, this hotel offers an indoor swimming pool and extensive spa facilities. Free Wi-Fi is available in the entire hotel. The air-conditioned rooms at the Ramada Istanbul Taksim have a modern interior. They include a TV, a minibar and a safe. The bathrooms have a bathtub. The elegant restaurant of the hotel serves a range of local and international dishes prepared with seasonal ingredients. After a rich meal, a refreshing drink can be enjoyed at the lobby bar. After a day of sightseeing, guests can relax at the sauna or Turkish bath. There is also a modern gym featuring cardio equipment and free weights. Taksim Metro Station is just over a quarter mile from Ramada Istanbul Taksim, offering easy access to other sites of the city. Cevahir Shopping Center is within 2 miles. Only a 5-minute walk from Taksim Square, this 4-star hotel has contemporary rooms with flat-screen TVs. It features a spa with free hammam, pool and gym, as well as massage treatments provided at a charge. Featuring modern décor, all rooms at the Titanic City Hotel have hardwood floors and elegant bathrooms. Guests can enjoy an in-room minibar and complimentary fruit. Units have free Wi-Fi access and a safe. The quality breakfast has a vast variety of choices including salads, eggs, a selection of cheeses, hams and fresh fruits. The Titanic features a pleasant bar on the ground floor and a café with an assortment of hot drinks. Titanic City Hotel is in a pedetrian area less than half a mile from the shops of Istiklal Street and half a mile from Istanbul Congress Center. The Ataturk Airport is only 10 miles away. Just 3 minutes’ walk from bustling Taksim Square, the Riva Hotel offers non-smoking rooms with free Wi-Fi and room service. It also features its own restaurant serving Turkish specialties. Each of the rooms at Riva Hotel is air conditioned and comfortably furnished. They offer a modern private bathroom with a hairdryer. Guests can enjoy a buffet breakfast in Riva's restaurant while planning their day. The reception staff is available 24 hours a day to assist with any advice. Trendy Istiklal Street with many shops and eateries is just 1640 ft from the Riva. Neighbouring Taksim Square has tram and metro connections to Istanbul’s historic highlights. A shuttle bus to Atatürk Airport is available. This recently-renovated and modern hotel is in the trendy district of Nisantasi, close to Taksim Square and the Dolmabahce Palace. 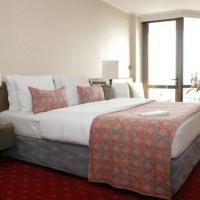 Mim hotel features comfortable rooms accompanied by professional and friendly service. The hotel has a vibrant and upbeat atmosphere, with many public transportation connections allowing for easy access to all parts of the city. Restaurant Gaudi can seat 120 people, and serves a menu of Turkish and international cuisine, healthy food and delicious salads. Barca Bar is in the Lobby and open 24 hours a day serving snacks and drinks. Business guests can make full use of the hotel’s extensive meeting facilities, as the Mim Hotel is a popular destination for many local and international corporations. Just 200 meters from the Blue Mosque, Hagia Sophia and Topkapi Palace, this spa hotel offers a Turkish bath and sauna. It features a terrace with scenic Bosporus views. The air-conditioned rooms at Best Western Premier Regency are fitted with hardwood floors, antique furnishings and flat-screen TVs. 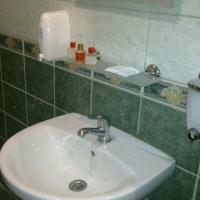 Elegant bathrooms are stocked with designer toiletries. Turkish and international cuisine can be enjoyed in the Garden Café Restaurant, which prepares dishes using fresh seasonal ingredients. Breakfast buffet includes olives, yoghurt, cheese and fruit. Best Western Premier Regency Suites & Spa offers a range of massages, using special soaps and luxurious lotions. Guests can also attend personalized fitness classes at the hotel’s gym. The Grand Bazaar can be found just 500 metres from the hotel. Istanbul Atatürk Airport is 15 km away. This modern hotel offers cozy rooms with spa bathtubs and free wireless internet access, in a convenient location in Istanbul's Kadikoy district, just a ferry ride from the historic district. Each of My Dora's rooms is decorated in a modern style and is well-equipped a spa bathtub and a satellite TV. Free tea and coffee facilities enhance your comfort. My Dora's friendly staff is available 24 hours a day to offer advice and recommendations. Start the day with a rich buffet breakfast in My Dora's contemporary dining area. The Bosphorus is just steps away and from here you can enjoy a pleasant ferry ride to Sultanahmet and Istanbul's main tourist areas. The nightlife around Taksim Square is just a 20 minute walk away. Only 325 ft from Blue Mosque, this hotel features a terrace with panoramic views of Istanbul and Marmara Sea. It has air-conditioned rooms with free Wi-Fi. The cozy guest rooms at the Best Point Hotel are decorated in warm colors and have Turkish-style décor. They come equipped with a flat-screen TV, a minibar and have a private bathroom with hairdryer. The Best Point features a lush garden and offers a daily open-buffet breakfast including local and international dishes. Guests at Best Point Hotel can enjoy a glass of wine at the rooftop terrace, which offers views of the Marmara Sea, Blue Mosque and Hagia Sophia. Point Hotel is only 325 ft from Topkapi Palace. An airport shuttle is also available. Featuring a roof terrace with views of Marmara Sea, The Aslan offers air conditioned accommodations with an LCD TV. Sultanahmet’s Blue Mosque and Hagia Sophia are a short walk away. With free Wi-Fi, all spacious rooms and suites at Aslan Hotel Istanbul come with hardwood floors and a minibar. Accommodations have a private bathroom with amenities and a hairdryer. A breakfast buffet is served daily on the restaurant’s panoramic terrace, which has an adjoining bar. A number of eateries and bars are within walking distance. The 24-hour front desk staff provides 24-hour room service. They can also arrange airport shuttles to Ataturk Airport (9 miles away) and Sabiha Gokcen Airport (22 miles away). Free parking is available in the hotel’s direct surroundings. The Sultanahmet Tram Stop and Basilica Cistern are a 5-minute walk away. In Taksim Square, the heart of modern Istanbul, Avantgarde Hotel Taksim features air-conditioned rooms with flat-screen TVs and contemporary décor. Free Wi-Fi is available throughout the hotel. Avantgarde Hotel Taksim provides a breakfast buffet, which includes omelets and fruit juices. Turkish and international cuisine is available for lunch and dinner. The menu includes a selection of Turkish wines. A massage treatment can be scheduled at Avantgarde Hotel Taksim’s spa. A fitness center and sauna are also included. Swimming is possible in the indoor pool. Avantgarde Hotel Taksim features on-site shops. Guests can have their hair styled at the beauty salon or buy a souvenir from the gift shop. The 24-hour front desk can help guests arrange car rental. They can assist guests in finding the best tourist spots in Istanbul. Guests can also take a packed lunch from Avantgarde Hotel Taksim. The Sultanahmet Palace Hotel is right behind the Blue Mosque and across from the Mosaic museum. It features a restaurant with a terrace and Marmara Sea views. All rooms at Sultanahmet Palace have air conditioning and satellite TV. Every room also has a private bathroom, and some provide views of the Blue Mosque. The Sultanahmet Restaurant serves regional specialties and overlooks the Marmara Sea. There is also a bar which has outdoor seating on the terrace. Sultanahmet Palace Hotel is within walking distance of major attractions in the historic quarter. The hotel's eclectic style reflects Byzantine and Ottoman elegance along with modern touches in every corner. Hotel Sultanahmet Palace is 12 miles from Ataturk International Airport. Come and experience the charm of the old Istanbul peninsula and enjoy peaceful accommodations at this homey hotel, right in the center of the city. Unwind in the comfortable, recently renovated establishment and absorb its warm atmosphere. The friendly, multilingual staff offers you a warm Turkish welcome and provides personal service, including extensive tourist information. Have a wholesome breakfast out on the terrace and start planning your day. With the hotel's convenient location and excellent access to public transportation, we offer easy access to all parts of the city. Moreover, you can easily walk to magnificent monuments and sights, such as Topkapi Palace, the Sultan Ahmed (Blue) Mosque and the Hagia Sophia. Discover this enchanting city, where Europe and Asia come together. You can sample delicious meals in our cozy restaurant. Be sure to have a drink in our lively bar and engage in good conversation or dance the night away. This hotel is in an excellent location for exploring the amazing and vibrant city of Istanbul, while also providing top of the range service and an inviting atmosphere. Hotel Spectra Sultanahmet is a converted Ottoman House in the old city of Istanbul at the corner of Hippodrome Square. Located near the Blue Mosque, St. Sophia, Topkapi Palace and the Grand Bazaar, the views from the breakfast room are absolutely stunning. Hotel Spectra has special rooms, with most of them overlooking the Sultanahmet and the Hippodrome square. 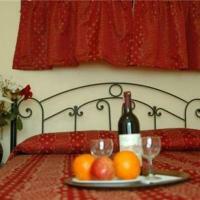 The rooms are designed and furnished to provide maximum comfort and satisfaction. About 55 yards from Taksim Square, this 5-star hotel offers rooms with private hot tubs and free Wi-Fi. It features a full-service spa and a choice of 2 restaurants and bars. The rooms at Elite World Istanbul Hotel have a neoclassical flavor. Luxury, marble-finished bathrooms, elegant carpeting and wall-mounted flat-screen TVs come as standard. Interactive TV is available in each room. A wide choice of Turkish cuisine is offered at the Elite World, as well as international favorites and rare wines. The street-side brasserie is perfect for enjoying a light meal, while enjoying views of Istanbul. The 4 bars provide cozy corners to enjoy a break. Recreational facilities at the Istanbul Elite World include a mosaic swimming pool, children’s pool and a fitness center. A marble Turkish bath is also available. The Hotel Elite World Istanbul is a short walk from the exclusive ?stiklal. In Istanbul's historic center, this Ottoman-style hotel was fully renovated in 2013. It features free Wi-Fi, bright and modern rooms and a traditional marble hammam. Arden City Hotel's stylish rooms offer views of Sultanahmet and a spacious sitting area. Each comes equipped with flat-screen TV with satellite channel, and features décor in light shades with golden details. Teleskopik Restaurant serves Turkish and international delicacies prepared with the freshest ingredients. The Blue Mosque and the Grand Bazaar are a 3-minute walk away. Ataturk International Airport is just 8 miles from Arden City Hotel, which provides a transportation service. Only a 2 minute walk from the famous Taksim Square and Istiklal Avenue, Eterno Hotel provides comfortable accommodations with free Wi-Fi. There are many shops and dining options within walking distance. The elegant guest rooms at Eterno Hotel offer a clean and comfortable base during your stay. Each room is soundproof, and includes air conditioning and minibar. Start each day with a rich buffet breakfast, included in your rate. Enjoy professional service from the friendly 24-hour front desk team, who are also happy to share their local knowledge. Taksim Square also offers easy access to public transportation to the rest of Istanbul, allowing you to easily reach Istanbul's historic and business districts. Ataköy Marina Hotel has 3 floodlit tennis courts and a lush garden with deck chairs. Located next to Golden Anchor Marina, it has rooms with a balcony, some overlooking the marina. All rooms and suites have comfortable bedding and are equipped with a well-lit work desk and a minibar. Each air-conditioned room has a plush armchair in the sitting area. A variety of international and regional dishes such as seafood, lamb stews and light salads are served in Ataköy Marina’s restaurant. Hearty bar food and snacks are available at Anchor Bar. The spa services are provided at another complex, which is just over half a mile away. Hotel Ataköy Marina is a 10-minute drive from Carousel Shopping Center. Bak?rköy Train Station is 2.2 miles away. Featuring panoramic views of the Sea of Marmara, the Cem Sultan Hotel is only 650 ft from the Blue Mosque and Saint Sophia. It has a rooftop terrace and offers air conditioned guest rooms. Sultan rooms have large windows and simple furnishings. They have a private bathroom and come equipped with free Wi-Fi and satellite TV. Guests can enjoy a buffet breakfast at the hotel’s restaurant that features panoramic views of the Bosphorous. There is also a bar that serves refreshing beverages. The Cem hotel has laundry and ironing services. The staff at the tour desk assist with car rental and offer information on local attractions. The Cem Sultan Hotel is a 20-minute drive from Ataturk Airport and is a 2-minute walk from the Hagia Sophia, Topkapi Palace and the Basillica Cistern. The hotel offers 24-hour front desk service and free private on-site parking. Discover the treasures of Istanbul and enjoy the elegant accommodations of this family-run boutique hotel in the city’s enchanting Sultanahmet district. You can absorb the homey atmosphere of this hotel’s interior and unwind in its romantic guest rooms. Savor the warm atmosphere in the lobby and consult the concierge for information on excursions and sightseeing. As the hotel is located right near Topkapi Palace, you can easily stroll through the wonderful streets of Istanbul’s old peninsula to explore all of its historic and cultural monuments. Cross the Bosporus to visit the other side of the city and experience the bustle of the Taksim area. In the evenings, you can sample delectable Turkish specialties in the cozy restaurant. After dinner you can go out and join the exciting Istanbul nightlife or retreat to your room for a good night’s rest. In Istanbul’s historic Sultanahmet, Yigitalp is half a mile from the celebrated Grand Bazaar. It features a spa with a traditional marble Turkish bath and massage treatments. Fitted with Ottoman-inspired headboards and fabrics, rooms at Hotel Yigitalp Istanbul have soothing background music to enhance relaxation. They come furnished with flat-screen TVs with satellite channels and private bathrooms with either bathtub or shower. Guests can savor Turkish delicacies in an elegant atmosphere at the restaurant of the hotel. They can also relax with refreshments and drinks, or surf the net for free at the Alp Bar, featuring a more casual atmosphere. Situated 220 yards from the T1 Tram line, Yigitalp Hotel provides direct services to Istanbul’s Topkapi Palace and the Beyoglu’s buzzing entertainment area. The iconic Haghia Sophia is a 10 minute tram ride away. Airport shuttle service is available. Please inform Hotel Yigitalp in advance to use the service. This stylish hotel is in the center of Akaretler, surrounded by cafes and design galleries. The W features 2 restaurants, a modern gym and a day spa. The famous shopping district of Nisantasi is just a 15-minute walk away. The luxurious rooms at W Istanbul feature 32-inch flat-screen TVs and Bose Wave radios with iPod docks. The design bathrooms include rainforest showers and Bliss amenities. Some rooms have private gardens or a terrace. Okka Restaurant serves traditional Turkish mezes, kebabs and raki service in a contemporary, bistro setting. Signature cocktails and snacks, live DJs and special parties can be found at the stylish W lounge and terrace. The intimate day spa at the W Istanbul offers facials, wraps and massage treatments. The experienced staff uses Ligne St. Barth products. Located on a lively corner in historic Istanbul, the Adamar Hotel features a restaurant with rooftop terrace offering splendid views of the nearby Hagia Sophia Mosque and the Bosphorus. Each of the rooms at the Adamar feature bright, soft-tone colors and beds with luxury textiles. They all come equipped with free Wi-Fi and a satellite flat-screen TV. The Panoramic Restaurant serves Turkish specialties and international fare, either indoors or on the roof terrace with great city views. The hotel lobby features a stylish cyber cafe and cafe, offering drinks and snacks. Sultanahmet Tram Stop is just 820 ft from the hotel. The Basilica Cisterns, Blue Mosque and Roman Hippodrome are all less than a 5 minute walk away. This hotel offers a comfortable stay in the city of Istanbul, with modern amenities and comfortable room settings. Hotel Riva is designed with a modern flair and offers spacious rooms. The dark hardwood floor, modern furniture and light walls create a stylish and vivid room space. Fast wireless internet access is offered free of charge. At Riva Hotel you can relax and go to the sauna or have a massage. You can also make use of the fitness center. 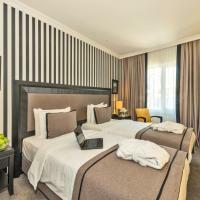 Conveniently in the city of Istanbul, Hotel Riva offers comfortable rooms, with 24 hours room service. Romantic Hotel Istanbul, located in the most historic part of Istanbul "Sultanahmet", is an Ottoman stone mansion built in the beginning of the 20th century. The hotel has 9 specially designed and decorated rooms for your convenience. Romantic Hotel Istanbul has a terrace cafe bar, where you can enjoy a clear view of the Marmara Sea on the front side or the Blue mosque and Hagia Sophia on the back side of the terrace. If you are looking for a relaxed atmosphere in central Istanbul, then this is the ideal holiday location. Take the opportunity to enjoy an elegant classical setting that makes you feel at home. The major tourist attractions are a walking distance away, helping you enjoy the best Istanbul has to offer. This clean and modern hotel is located in the Asian side of Istanbul, offering a scenic view of the Prince’s Islands. The interior design of the Arca Suite Hotel is spacious and pristine, while the service is professional and of a notable standard. The location of the hotel means that guests have easy and convenient access to the streets of Istanbul, with public transportation allowing for quick access to all parts of this magnificent city. Hotel Grand Mark is located in the Fatih district of Istanbul and is a 10-minute walk from the Grand Bazaar. It has a Turkish restaurant and offers air conditioned guest rooms with balconies and panoramic views. Grand rooms have modern furnishings and marble bathrooms with a hairdryer. They come equipped with a TV, minibar, and safe. Each morning the hotel restaurant provides a buffet breakfast with hot tea and fresh fruit. In the bar soft drinks are served alongside Turkish spirits. Many seafood restaurants are a 5-minute walk away. Guests can find most cultural and historic centers nearby, including the Armenian and Orthodox Churches. Public transportation services are less than half a mile away. The hotel offers 24-hour front desk service and free on-site private parking. Kupeli is a modern hotel in historic Sultanahmet, 1310 ft from the buzz of Istanbul’s Grand Bazaar. It is an entirely non-smoking property featuring a rooftop terrace and free Wi-Fi. Decorated in pastel tones, rooms at Kupeli Hotel are equipped with hardwood floors and large windows. They are all equipped with flat-screen satellite TVs, minibar and a work desk. Private bathrooms include hairdryers. Guests can enjoy a complimentary buffet breakfast on the rooftop terrace, which features panoramic views of Istanbul. The menu of the in-house restaurant combines classic Turkish food with international dishes. Situated 650 ft from Çemberlita? T1 Tram Stop, hotel Kupeli is also close to Thodosius Cistern, traditional hammams and the lively restaurants of Kumkapi. Bike rental and airport shuttle services are available. Featuring a Turkish bath, Turvan Hotel is situated in the center of Istanbul a 5-minute walk from Gülhane Park and Topkap? Palace. It offers air-conditioned guest rooms with free Wi-Fi. Turvan rooms have parquet floors and simple furnishings. They include a private bathroom and come equipped with satellite TV and a minibar. The Turvan has a lobby bar that offers cocktails and refreshing beverages, and a restaurant with a dining menu available for lunch and dinner. A buffet breakfast is served in the morning. Hotel Turvan guests can relax in the jacuzzi after a long day of sightseeing, or rent a bike and explore the city. Packed lunches are available for day excursions. Turvan Hotel is situated 9 miles from Ataturk International Airport. The hotel has a 24-hour front desk, and offers an airport shuttle service upon request. In a restored 107-year-old building, the Grand Seigneur Hotel Old City has traditional décor with handicrafts and paintings reflecting Ottoman history. It features free Wi-Fi and 24-hour front desk service. The Grand Seigneur Hotel Old City has air-conditioned rooms with a flat-screen TV, a minibar and a safe. They all include a private bathroom with a hairdryer and free toiletries. Some rooms also feature sea views. Daily breakfast is served as an open buffet at the hotel. There is a restaurant serving Turkish cuisine. You can also enjoy drinks from the hotel’s bar. Topkapi Palace is just a 5-minute walk from the Grand Seigneur Hotel. It is just over a quarter mile from Hagia Sophia and half a mile from Blue Mosque. Basilica Cistern is a 10-minute walk away and Spice Bazaar is within a 10-minute walking distance. Ataturk Airport is 11 miles away. Just 100 yards from Istanbul’s famous Taksim Square, Golden Park Hotel features rooms with free Wi-Fi and a flat-screen TV. Facilities include a spa center with an indoor pool. 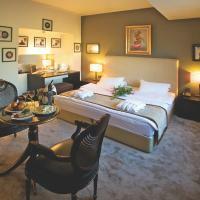 The air-conditioned rooms at Hotel Golden Park are decorated with dark wooden furniture and warm colors. All rooms have a minibar, tea and coffee-making facilities, and a work desk. The restaurant offers local Turkish dishes as well as international cuisine. It is also possible to dine outside on the terrace, which features panoramic views of the city. Guests can get a relaxing massage at Golden Park’s spa center, which also has a fitness center, a sauna, and a traditional Turkish hammam. The restaurants, bars and shops of Istiklal Street are a quarter mile from Golden Park Hotel, and Dolmabahçe Palace is one mile away. Istanbul’s historic center is 3 miles from the hotel. A short walk from the Blue Mosque, with panoramic views of Istanbul's historic district of Sultanahmet, this Ottoman mansion offers cozy rooms with free wireless internet access and breakfast included. Muhlis Bey's comfortable rooms are decorated with traditional Turkish rugs and rich fabrics. Extra touches include satellite TV, a work desk and slippers. The terrace bar offers beautiful views of the Marmara Sea, Blue Mosque and the Hagia Sophia. Meals can also be enjoyed on the terrace. Muhlis Bey's kind staff is available 24 hours a day to offer recommendations or advice. You can also find an excellent variety of local restaurants surrounding the hotel. In the historic Sultanahmet district, this comfortable hotel is within a 2-minute walk of Sirkeci Train Station and Eminönü Ferry Port. It features cozy rooms with free Wi-Fi and breakfast. Old City Viva Hotel has clean and comfortable accommodations, complete with air conditioning, minibar and a private bathroom. A 24/7 room service is available for guest convenience. The Old City’s front desk is open 24 hours a day and the friendly staff team can provide local information and recommendations. A daily breakfast buffet is served to guests. At Mr. Delight à la sweet fest, guests can choose from a menu, featuring Turkish specialty dishes and desserts. Viva Hotel is within a 5-minute walking from the Hagia Sophia, Topkapi Palace and the Egyptian Spice Market. Sirkeci Tram Stop is only 65 ft from the hotel. Located amid Sultanahmet’s historic attractions, Diana hotel offers bright, spacious rooms with free Wi-Fi. It also features a Turkish spa and rooftop restaurant with panoramic views of the Blue Mosque. Each air-conditioned room is carpeted and decorated with wooden furniture. All units come equipped with a flat-screen TV, minibar and private en-suite. After a day of sightseeing, Lady Diana’s spa offers a haven of relaxation where guests can experience the cleansing effects of a scrub or massage treatment. It also features a sauna and a hammam. Lady Diana’s cosy rooftop restaurant offers al fresco dining on the outdoor terrace with breathtaking views of the Blue Mosque’s 6 minarets. It serves a selection of Turkish and international cuisine. Thanks to its central location, Hotel Diana is an easy walk from the Aya Sofia and the Blue Mosques, Archaeological Museum and Roman Hippodrome. Free private parking is available. This luxurious hotel in Istanbul is a quarter mile from the Grand Bazaar. It has a spa, an indoor pool and a gym. Free private parking is also available. The elegant rooms at the 5-star Crowne Plaza Istanbul - Old City have satellite TV, a tea/coffee maker and a private bathroom with luxurious toiletries. Some rooms have a flat-screen TV and a spacious sitting area. The Lale Restaurant serves a rich buffet breakfast in the mornings. A gourmet menu of international cuisine is served in the evenings. Guests of the Plaza Istanbul can enjoy a range of beauty treatments at the spa, or work out with cardio equipment at the gym. The Hagia Sophia and the Sirkeci Train Station are 2 miles from the Crowne Plaza. Located in the Asian district of Camlica, The Camlica Residence features spacious apartments with a kitchen. The hotel is only 3 km away from Kalamis Marina and offers free Wi-Fi. The hotel has modern air-conditioned apartments with a kitchen and a seating area. Each of the elegant apartments has satellite TV and a minibar. In the surrounding area, guests will find a variety of restaurants serving local food. The hotel offers packed lunches. Ataturk International Airport is 40 km away and the hotel offers free private parking. The hotel is quickly accessed via the Bosphorus Bridge, in the exit of the E5 Highway. Istanbul Marriott Hotel Asia is a 5-star hotel in the heart of Kad?köy district, Atasehir and by the Marmara Sea. It features outdoor and indoor pools and a luxury spa. The spacious, contemporary rooms have high ceilings and large windows that provide a scenic view of the Marmara Sea. Each has a flat-screen TV with satellite channels and a sitting area. Free 512 kbps internet connection is available in the rooms. Istanbul Marriott’s spa facilities include a hot tub, sauna and steam bath. Guests can relax in a lounge chair by the extensive pool. The hotel also has a 24-hour front desk, car rental and a business center. Istanbul Finance Centre is within a 10-minute drive of the property. The Istanbul Marriott Hotel Asia hosts three food and beverage areas. The Orange Southern Mediterranean Grill serves Turkish cuisine. The 49 East Lounge is an elegant lounge and dining area, which caters for breakfast, lunch and light dinners. The Pool Bar Terrace has a dining menu. This special class hotel offers contemporary rooms and features a sauna and massage treatments. It is in the center of Istanbul, only 650 ft from the Grand Bazaar. Barceló Saray offers rooms with free Wi-Fi access and plasma TVs with satellite channels. The spacious, chic accommodations are filled with natural light from the floor-to-ceiling windows. The on-site luxury spa offers a relaxing Turkish bath. The staff at Barceló’s 24-hour front desk can provide information about local excursions. The restaurant offers Turkish cuisine and picturesque views of Istanbul from the top floor. Guests can enjoy drinks and live piano music at Barceló Saray’s bar. Atatürk International Airport is a 15 minute drive from the hotel. Stylishly decorated with a modern interpretation of 1950s style, this 4-star hotel is in Mecidiyeköy, Istanbul's business district. Free Wi-Fi and panoramic Istanbul views are featured in each room. Lobby Lounge Restaurant serves fine dining in a stylish setting. A wide selection of wines, spirits and soft drinks are available at The Marmara Sisli’s bar. The rooms at The Marmara Sisli come with wall-mounted flat-screen TVs, offering local and international channels. Some rooms include a private spa bathtub, and offer city and Bosphorus views. Guests can keep fit at Marmara Sisli fitness center, which includes cardio equipment and free weights. Recreational activities include the ancient Inca game Sapo. The Marmara Sisli is about 220 yards from Sisli Metro Station, and a 24-hour taxi stand is available nearby. Shopping and 4 different malls are within a 5 minute walk of the hotel. Situated in the heart of Istanbul’s historic quarter, Best Nobel hotel offers classic rooms with free Wi-Fi, a few steps from the Gülhane Park around the Topkap? Palace. Traditional Turkish cuisine can be enjoyed at Best Nobel Hotel’s restaurant. The open buffet provides a selection of cold hors d’oeuvres and hot main dishes. 24-hour room service and an on-site bar are also available. The air conditioned rooms of Best Nobel have a traditional décor, wooden furniture and satellite TV. Ataturk International Airport is located about 8 miles of the hotel, and Nest nobel Hotel provides an airport shuttle. Hotel Prince is just behind the Topkapi Palace, offering a traditional Turkish bath, sauna and a rooftop terrace with views of Bosphorus. It has large rooms with LCD TV and free Wi-Fi. Elegantly decorated, all rooms at Hotel Prince are spacious and air conditioned. They all include satellite TV channels and tea/coffee-making facilities. The private bathrooms come with courtesy bathrobes and slippers. Some rooms offer a balcony with city views. Guests can work out in the well-equipped gym or unwind in the traditional Turkish bath with marble floors. Regional and continental specialties are served at the in-house restaurant, while drinks can be enjoyed up on the panoramic deck. In the historic part of the city, Prince Hotel is a gateway to Sultanahmet’s landmarks, including Haghia Sophia, less than half a mile away. The nearby tram stop provides access to Taksim Square and the lively streets of Istiklal Avenue with famous-brand shops.